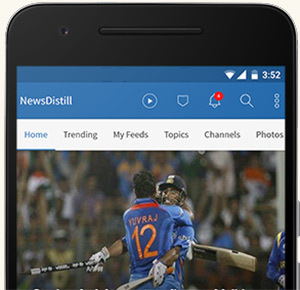 NewsDistill, a city-based news aggregator app has raised USD 100,000 in seed funding from a group of investors including Ganesh Narasimhan, Ramana Thumu, and Sudhir Mallem. NewsDistill today said in a statement that it is likely to raise another USD 100,000 from other investors in the next couple of months. Launched in 2015, NewsDistill aggregates news sourced from various Indian newspapers, television channels, RSS feeds, custom feeds and social media in eight major Indian languages besides English. "The news is presented through innovative algorithms to the user through rich user interface application", it said. "There is a huge demand for personalised news feed on mobile apps especially for those who wish to spend quality time reading similar news from various media channels through multiple languages and quick filters," Narasimha Reddy, Founder, NewsDistill said. "NewsDistill is embarking upon expansion and product development to meet the demand. The current round of investment will be used towards product development and talent acquisition," Reddy added.